X'Plor USH. Adventure, Commuter, Touring Tire. 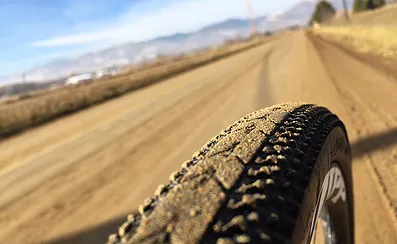 Named after Ushuaia airport code, Tierra del Fuego, Argentina, the ultimate destination for adventure bike touring, the USH adventure tire is perfect for mixed conditions. 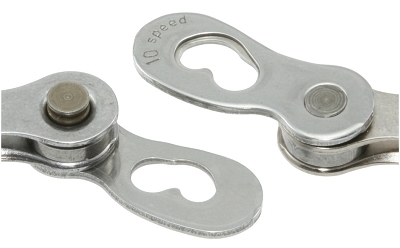 The firm center ridge and diamond shaped side knobs provide low rolling resistance and great cornering control. 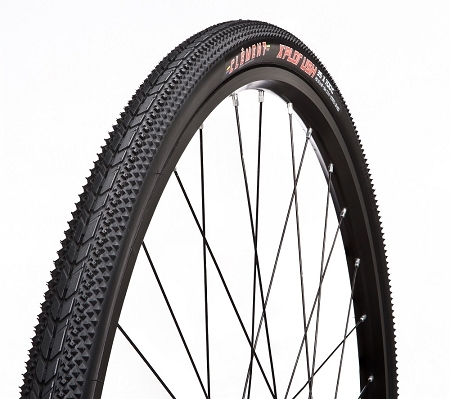 Perfect for dirt roads, touring, urban assault, the USH will fit Cyclocross, commuter or touring bikes. 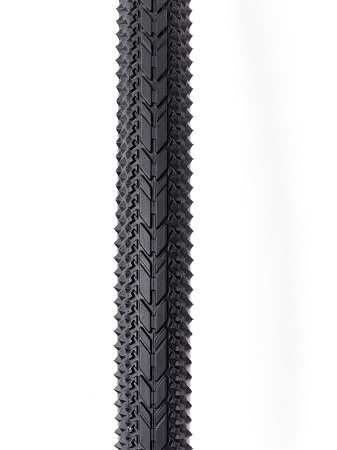 Foldable bead clincher, puncture protection belt under tread, black. 430 grams.